Don’t you just hate people who talk on their cell phones while they drive? Blindly babbling away, not paying attention to the road, endangering everyone nearby … so inconsiderate. Anyway, today while I was chatting on the phone and driving to the dentist, I got a tiny bit distracted and turned onto the wrong road … twice. But I cleverly figured out a shortcut back to where I belonged and pulled into the parking lot right on time. Unfortunately, it was the parking lot at my doctor’s office, not my dentist’s. Now, I’ve always been a little reluctant to go to the dentist. When I was young, they used to lie to me to get me there. Of course once I knew what was happening I would throw a crying fit — in the car on the way to the dentist, in the elevator on the way up to the office, in the waiting room, in the dentist’s chair throughout the entire visit, in the office while my mother paid, in the elevator on the way down, in the car on the way home, and once again when my father came home that night just to be sure everyone knew how I felt about it. My mother was afraid of the dentist. And she shared that fear and its effects with her children. She picked our dentist based solely on the fact that he would give her lots of Novocain. Lots of Novocain. Much Novocain. Beyond that, she never really bothered about the skills-as-a-dentist thing. My own theory is that dentistry was invented by Beelzebub, based largely on the fact that our dentist looked exactly the way I imagined a Devil’s minion would look. And, oh, by the way, when we were finally done and wanted nothing more than to run as fast and as far as possible, he would smile at us kids, with his coke-bottle-thick glasses making him look popeyed, and hand us each a lollipop. Maybe not the best dentist, but surely a clever businessman lining up return customers. 1) It might have been the fact of going to the dentist that distracted me and not the cell phone. I think, maybe, my subconscious was trying to get me to go to the wrong place and miss my appointment completely. Self-protection is a very powerful instinct in times of peril. That could explain it. 2) If it was the cell phone use, I think I deserve an exemption from condemnation because, after all, I was on my way to the dentist. Maybe I wouldn’t have been able to talk again when I came out. One little slip of the drill and, oops. Or I could have choked on one of the forty appliances they had crammed into my mouth just before asking me how I was doing. Either way, I feel completely justified in continuing to judge others if they use a cell phone while driving. Unless, of course, I learn that they were on their way to the dentist. The processes and procedures used for the diagnosis and treatment of conditions of the teeth are collectively known as dentistry. Dentistry is much more than the painful toothache that most people associate with a trip to the dentist. One of the more recent specializations in the field of dentistry is restorative dentistry. 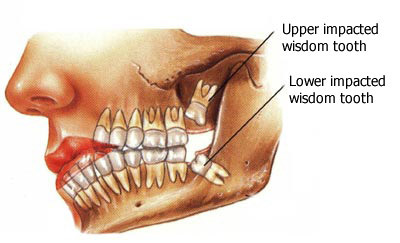 Involved in this discipline is the return of the structure of the teeth to a more normal standing so that function is restored. Damaged and decayed teeth can be removed and alternatives suggested that will allow a person to return to a more normal way of life both in terms of function and appearance. The most common options for the replacement of missing teeth through restorative dentistry include implants, crowns, and bridges. Restorative dentistry is very closely related to cosmetic dentistry with the only real difference being in the reason behind the completion of the dental work. Cosmetic dentistry is mostly concerned with how the teeth and mouth in general look whereas restorative dentistry is more concerned with returning teeth to a fully functional state that allows the proper chewing of food. It is a minor difference and, because many of the procedures are the same, most dental practices that do either also do the other. The health of your teeth and gums can have other effects causing confidence issues if they have a poor appearance or other health problems if they are diseased so do not put off visiting your dentist out of fear. If you have a problem visiting your dentist due to fear or anxiety then you are not alone and another recent entry into the field, sedation dentistry, may be the answer that you have been looking for to ease your concerns. Most communities now have a dental office that can offer sedation dentistry to those patients who need it and many dental offices specialize in it because of the number of patients who have deep seated fears of dentistry. Normally a patient is given an oral medication a little before the procedure that helps them to relax and ease the anxiety making the whole experience less tense for everyone involved. This is known as light sedation. Stronger medications may be used if necessary, but in most cases the light sedation is enough to make the procedure tolerable even to the most anxious patient. If sedation dentistry still cannot get you into the dental chair, or if you are in need of a more complex procedure, then you will most likely be referred to an oral surgeon who will be able to give you a general anesthetic so that you can sleep through the procedure. While this type of procedure can be used for those who have extreme dental anxieties, it is most commonly used for painful procedures like the removal of wisdom teeth that cannot be performed with just a local anesthetic like novocaine. Whatever the condition of your teeth and gums you should get regular check ups so that any issues can be fixed and further issues prevented. There is a form of dentistry that will fit your needs and keep you smiling. Whether you are looking to change dentists because you aren’t happy with the one that you have, you just moved to a new city and therefore need a new dentist, or you are looking for dentists that perform a particular procedure then you can relax, good dentists are out there if you go about your search the right way. 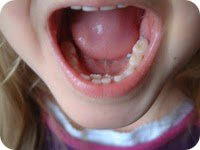 You cannot use not having a dentist as an excuse for avoiding good oral care so get up and start that search right now. Here are a few tips that will help you separate the good dentists from those that aren’t going to perform up to your standards. Listen to what others are saying about their dentists. Don’t be afraid to ask your friends and colleagues who their dentist is and just what exactly it is that they like about him. Word of mouth is one of the best ways to find what you are looking for because the people you know are usually your friends because you have similar likes and dislikes, so if they like a dentist there is a good chance that you will like that dentist as well. Look around on the internet. Whether you are starting your search from scratch or you have a small list of names from your friends you should check out the local dentists on the internet. Look at the websites for their practices to get a better sense of who they are and what types of services that they offer. You will want to look into the education and experience of the dentists you find. You will also want to look up reviews that have been left by other clients. A few bad reviews doesn’t necessarily need to alarm you, but a dentist without any good reviews should probably be avoided. Go to meet more than one dentist in person. You don’t have to tell these dentists that you are comparing them, but you should be comparing them. You aren’t just looking for how they handle procedures but also how easy they are to talk to because being able to confidently ask questions is an important aspect of the relationship. Make sure to talk with everyone that you come across in the office while you are there so that you can get a good sense of the overall experience as much of your care will be handled by other employees not just the dentists. Make sure that if something happens and you need to see a dentist in a hurry that you will be taken care of promptly. Some of this depends on you such as how close you live to the dental practice and some of it depends on the practice and what the hours of operation are and how emergencies are handled. You can’t expect your dentist to be available 24 hours a day, but there should be a system in place that will get you the treatment you need in an emergency. Usually a dentist will have an agreement with other dentists so that all of their patients are covered in this type of situation.